Welcome to the Bessin and Bayeux, a very significant area in the history of the 1944 D-Day Landings in Normandy. From Omaha Beach, its cemetery and its museum to the renowned Bayeux Tapestry, there are plenty of things to see and visit in Bayeux in Calvados. You will be told everything there is to see and do in Bayeux at the Tourist Information Centre that offers guided tours of the town, its cathedral and its old town centre. You will be able to enjoy delicious food at restaurants in Bayeux or go to the cinema, there is no shortage of things to do in Bayeux. 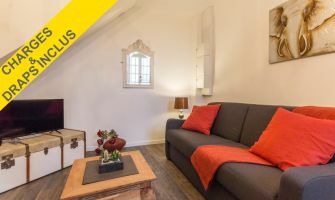 There are numerous hotels in Bayeux but remember you can also book a night in a B&B in Bayeux with the Gîtes de France for a local experience. You can also rent a holiday apartment or book a B&B in Bayeux in the area of Bessin in Normandy to visit the main D-Day Landing sites. The main D-Day Landing attractions include the Overlord Museum in Omaha Beach, the Pointe du Hoc and its bunkers, the artificial harbour in Arromanches, the American, Polish, British, German and Canadian War cemeteries. The Caen Memorial tells visitors all about the D-Day Landings of 6th June 1944. You will also be able to follow a guided tour of the D-Day Landing Beaches. In the vicinity of Bayeux in the Bessin, explore the fishing port of Port-en-Bessin and buy fresh fish directly on the quays. 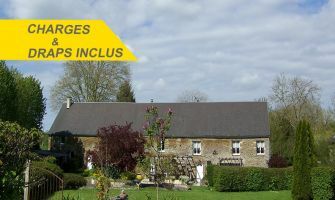 Conveniently located, you can get to Bayeux by train and easily find a holiday rental close to the town. Cool off with a quick dip, the beach is close to Bayeux where you will also be able to stay at a campsite. Golf lovers, try the driving range at the Omaha Beach Golf Course. If these few lines made you want to travel, quickly book a holiday in Bayeux or rent a holiday cottage in the area of Bessin. Browse all the main attractions and places to visit in Bayeux and the Bessin!